Creating For Good is a London-based collective of creatives who use their passions and skills to make a difference in the lives of women, men and families affected by war, political discord and poverty. This year the incredibly talented team dedicated 100% of the proceeds to the charity Bread & Roses. The charity is a social enterprise which trains refugee women in floristry and in the process provides them with the space to learn English, develop skills and build their confidence. A charity organisation with two formidable (women) founders who are incredibly passionate about empowering women and supporting them into jobs where they feel valued. 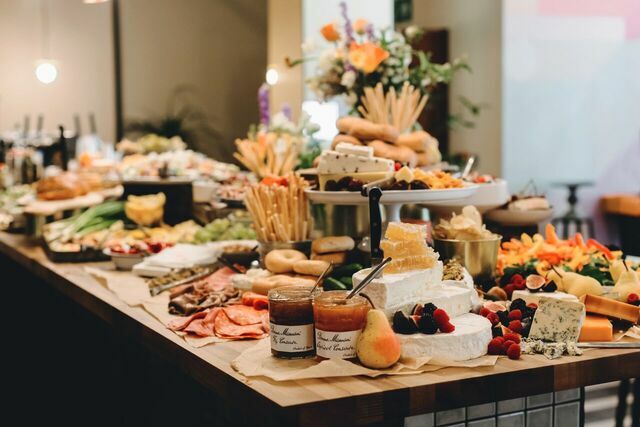 I was invited to their second annual conference to put on a welcome breakfast, lunch and dessert spread. Of course, I knew that these spreads had to be ‘instagrammable’ but weren’t just a feast for the eyes. Breakfast consisted of freshly baked pastries: Pain au chocolate, croissants and fresh juices. For lunch, I covered a table top with crunchy and healthy salads from my cookbook. 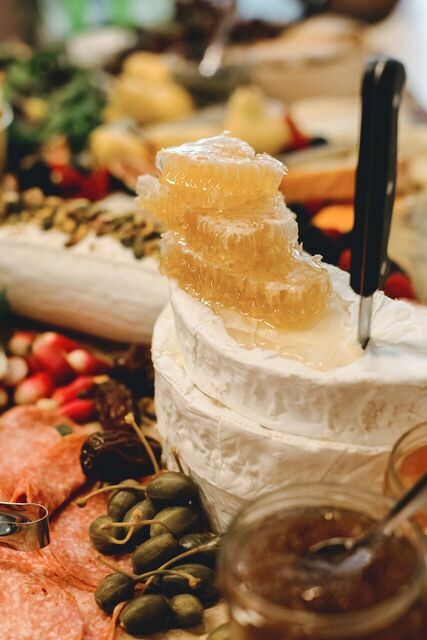 Bagels, fresh crudites and dips, an entire corner dedicated to specialist cheeses, nuts, raspberries, figs and a pile of organic honeycomb which dripped down onto the cheese. Attendants hopped on chairs to get their best picture of the display- angles are everything and we were at a social media conference after all! The finale showcased a showstopper rainbow cake which wowed everyone. 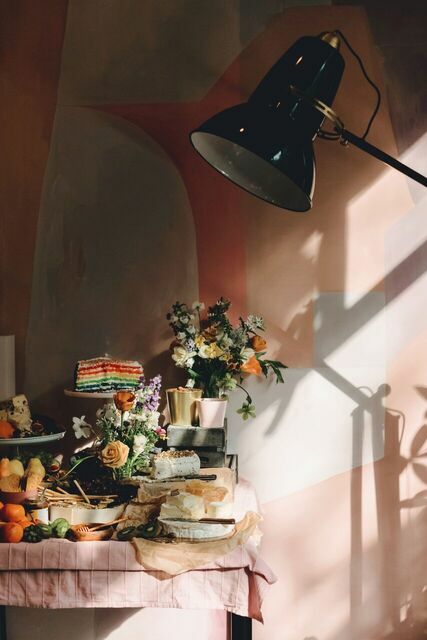 Sweeties, miniature cakes and a cheese board circled the cake to allow everyone to have a pick at what they fancied. 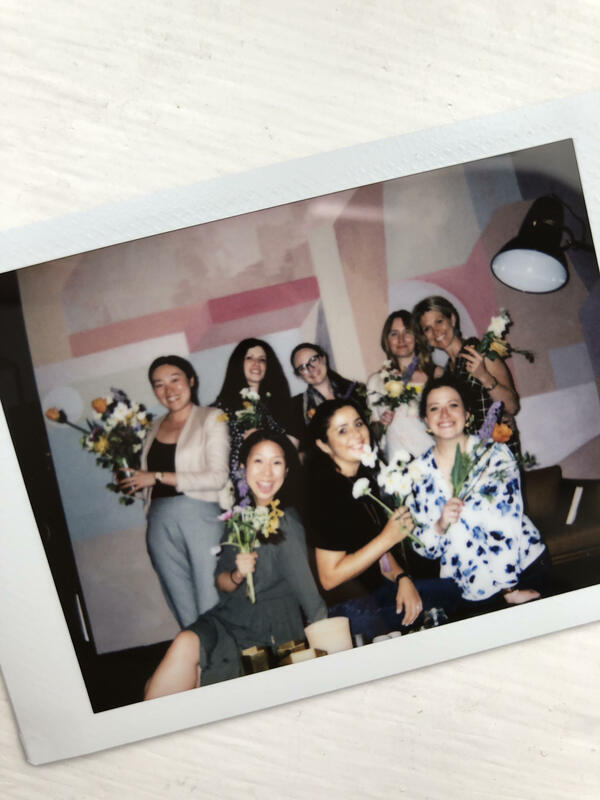 The workshops hosted by @candidsbyjo, @charlottehuco, @mondomulia, @xantheb, @qkatie and @cboals ranged from stop-motion to food styling to creating the best cinemagraphs. The conference was a great success and I loved being around so much creativity. For the first time ever, I was on the Creating For Good panel along with two other strong and inspiring women who are also part of the collective. I was so nervous but being asked about my journey so far in front of a warm and welcoming crowd of people helped settle my nerves (slightly). 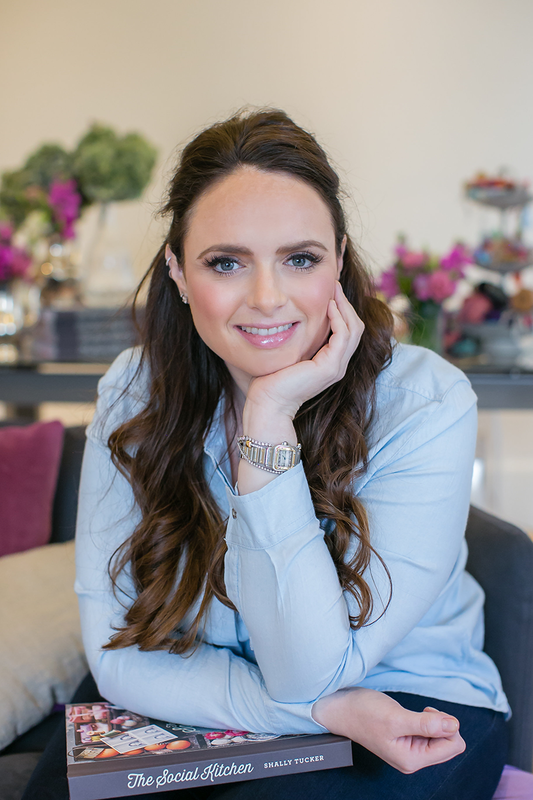 The Creating For Good masterclasses offer amazing insights into becoming a content creator and I cant recommend the conference enough. See you next year?